Robin le Poidevin – Could Time Be An Illusion? Could Time Be An Illusion? Philosophers have argued against the reality of much that makes up our ordinary world view: material objects, minds, causal connections, space, time…. Is nothing sacred? Well, perhaps. Some things just can’t go, we might think. It’s not just that commonsense demands we resist any attempts to revise our everyday conception of reality. Science regularly assaults that conception. But in some cases, denials of reality are apt to be self-defeating. They display their own falsity, so to speak, especially if they are couched in terms of the illusory nature of experience or thought. Descartes thought that the denial of the reality of one’s own self was self-defeating, for if the self is an illusion, then who is being deluded? Why, the self, of course. So the self cannot be an illusion. So what of time? There is a long tradition in philosophy and religions, and a somewhat more recent tradition in science, of denying time’s reality. And that would imply that anything that appears to be an experience of time is illusory, which then leads to the perplexing question: If time is unreal, why do we experience it as real? Now virtually any experience, no matter what it is about appears to us as experience of time: we seem to perceive one thing as following another, or things lasting for longer or shorter periods. Experience also seems to intimate one of time’s most elusive features: its passage. We think of the future as arriving in the present, and then receding into the past. Could all this be an illusion? 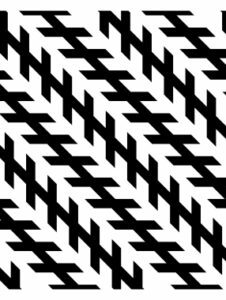 We can certainly make sense of temporal illusions: seeing something appear to move when in fact it isn’t moving, or misperceiving the order of events. But when we come to explain how experience represents time, it is natural perhaps unavoidable to appeal to the temporal properties of the experiences themselves. We perceive one event as following another because (although this can’t be the whole explanation) our perception of one event follows our perception of the other. We perceive events as lasting for longer or shorter experiences because experience itself is temporally extended. As the fourth century bishop and philosopher St Augustine put it, it is in our own minds that we measure time. So the assertion that ‘time is an illusion’ will turn out to be self-defeating if, in explaining the illusion, we have to ascribe time’s features to experience. But maybe we can explain how experience represents the world as being in time, without having to appeal to time. How? Here is one approach. Experience, like the world itself, is causally structured: just as a short-circuit causes a fire, so an experience causes the memory of that experience. And the perception of one event can affect the perception of another. And when that happens, the perceptions give rise to the sense of one perception coming after the other. In general, what gives rise to the sense of time having a direction is the fact that our experiences and thoughts are ordered in a causal sequence. What we call earlier perceptions are the causes, what we call the later ones the effects. And causation only goes one way: if event A causes event B, B does not cause A. Causation thus explains why we seem only to remember the past, and not the future. We call ‘the past’ those events which were the causes of our current thoughts and memories. Supposing we can in these ways explain the apparent experience of time by appeal to causation, why not say that time just is causation, and so is real after all? It depends what we think time’s essential features are, without which it cannot exist. And our ordinary conception of time certainly includes the idea of time’s passage or flow: present things fading into the ever more distant past. For example, we suppose that at one time, the birth of Julius Ceasar was present, and his crossing the Rubicon and assassination both future. Later, his birth was past, his crossing of the Rubicon present and assassination future. Later still, the first events were past and his assassination present. And now all three events are past. But if there is no such thing as the passage of time, we might reasonably think, then there is no such thing as time. And if we can explain, in terms of causation, those aspects of experience which seem to intimate time’s reality without once appealing to the notion of passage, then we can explain how time could be an illusion. More, if we can do without time in our explanation of the appearances of things, then that is some reason to think that time really is an illusion.